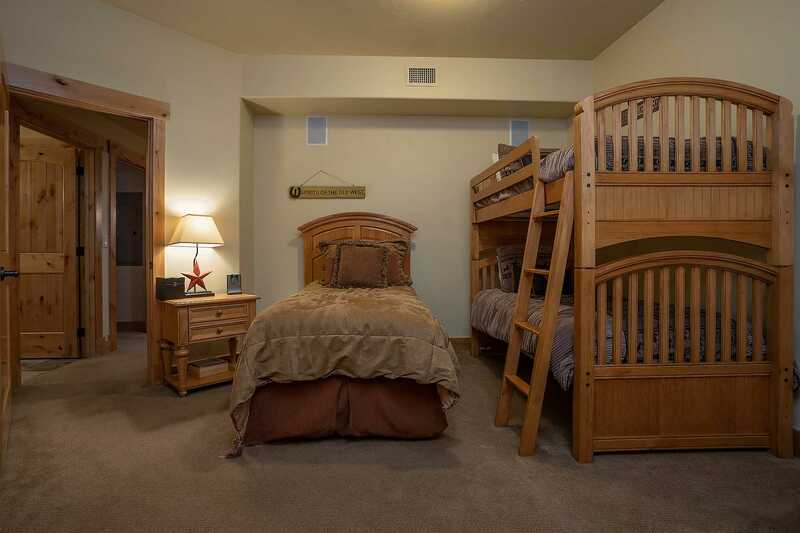 Plenty of space to sleep 9, with a bunk room perfect for the kids! Bear Lodge is the 6th and final phase at Trappeur's Crossing Resort. 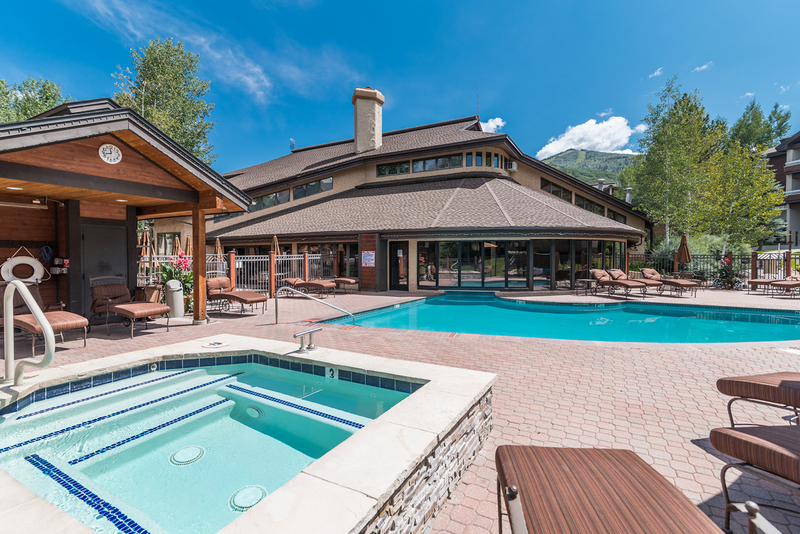 Recently awarded the coveted Expedia Insiders Select Choice Award, Bear Lodge offers some of the very best accommodations available at this award winning resort. 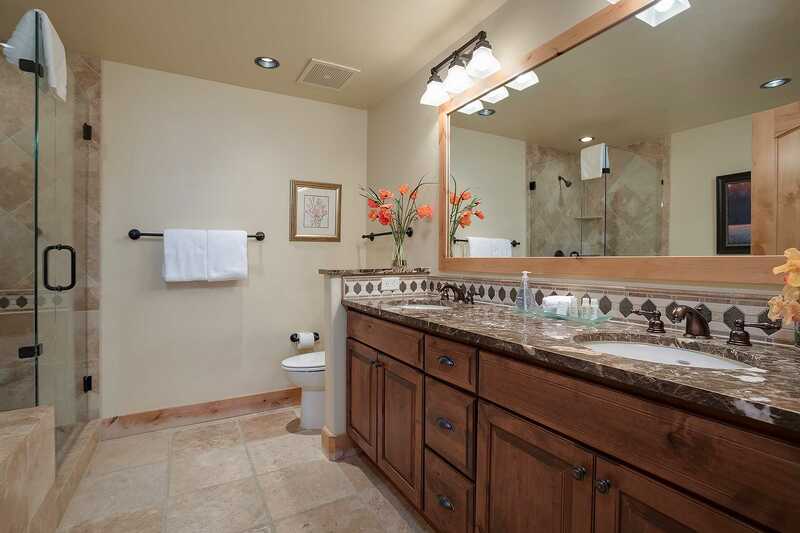 This exquisite 3 Bedroom, 3 Bathroom condo has been professionally decorated and furnished. 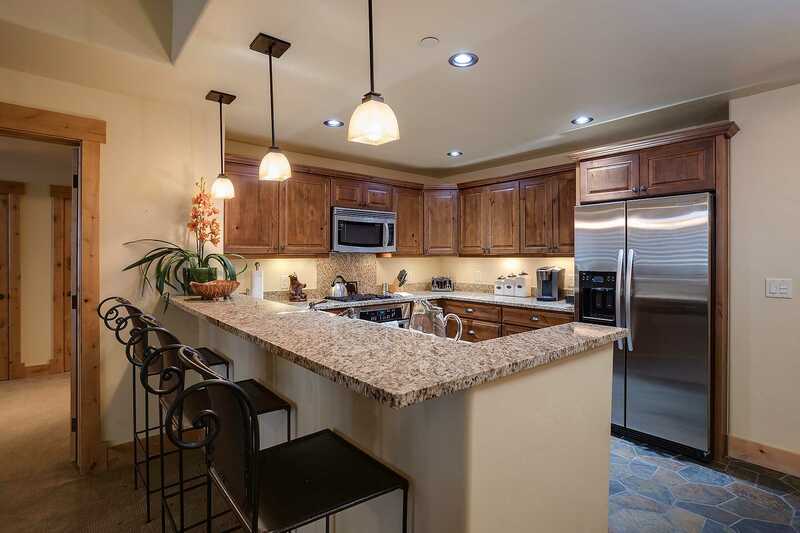 The condo has a fully-equipped gourmet kitchen with granite breakfast bar, quality stainless steel appliances, a 4-burner gas cook-top stove and luxurious wood cabinetry. 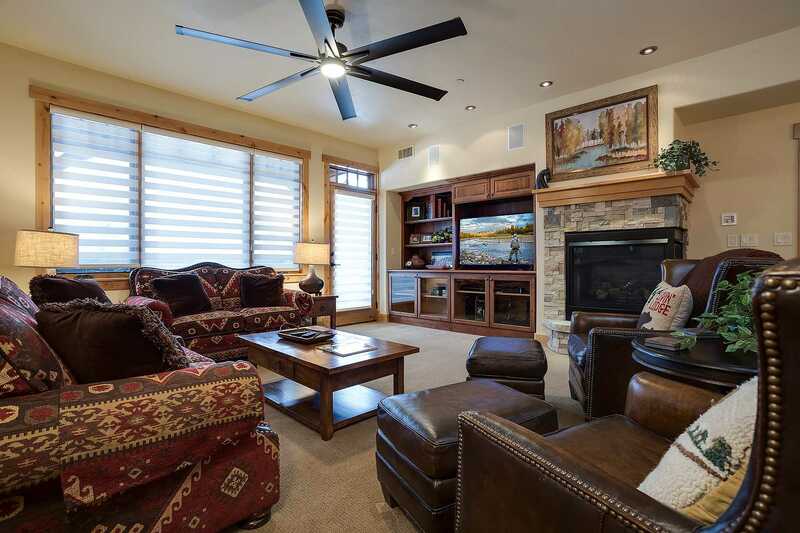 The spacious living area allows your party to relax in comfort in front of the feature gas log fireplace. 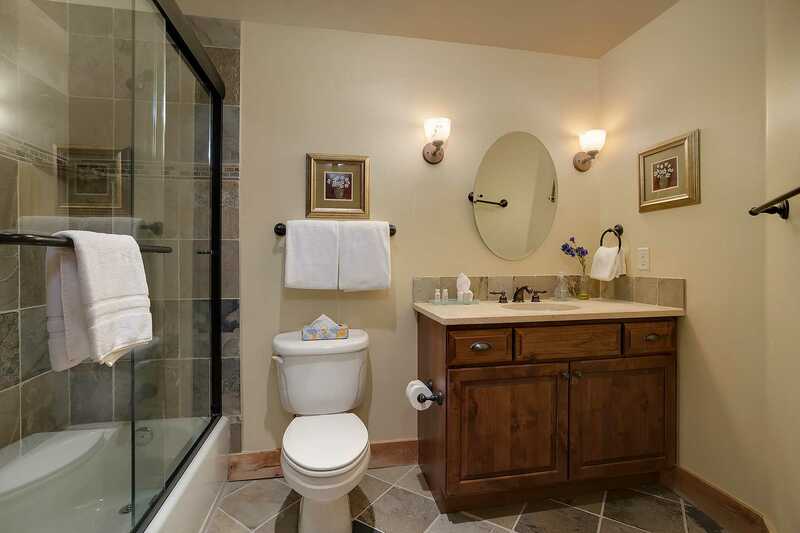 All 3 bedrooms come complete with luxurious private bathrooms. 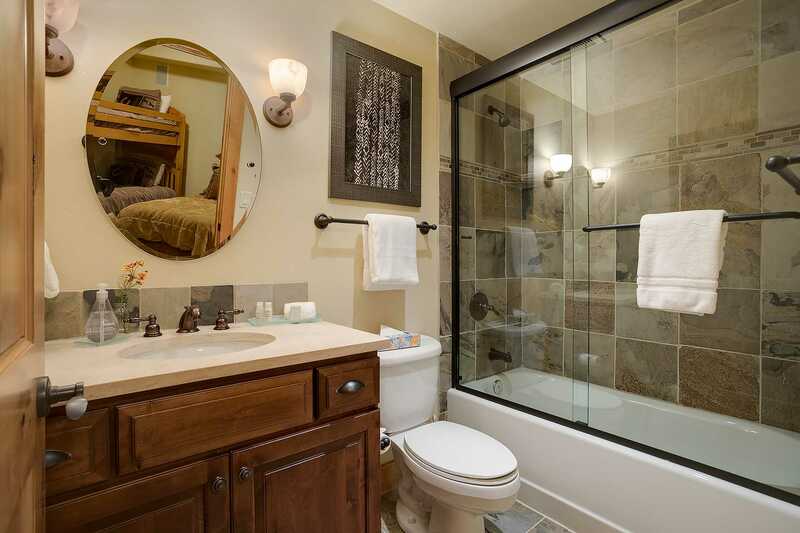 The master bathroom has the additional benefit of a jetted tub and separate shower. 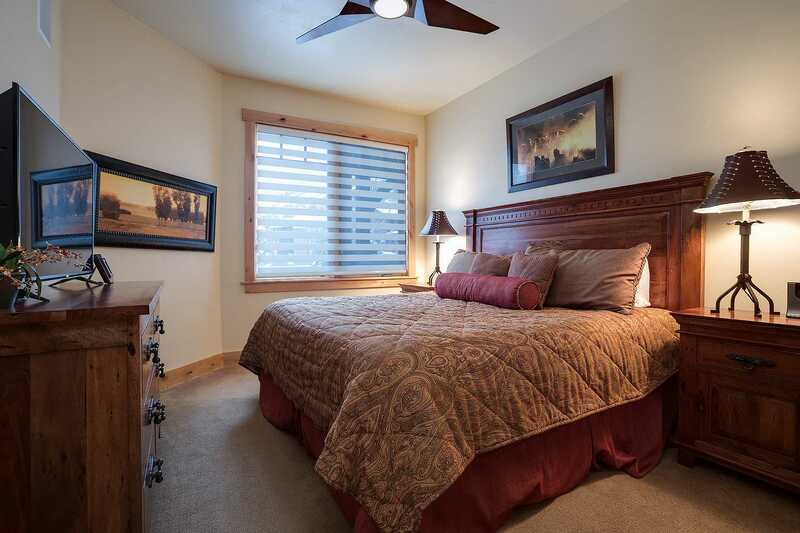 The primary guest bedroom features a second king bed and ensuite bathroom, while the third bedroom, function as a spacious den, internal to the building, has sleeping space for three and features a twin bunk bed and freestanding twin bed. 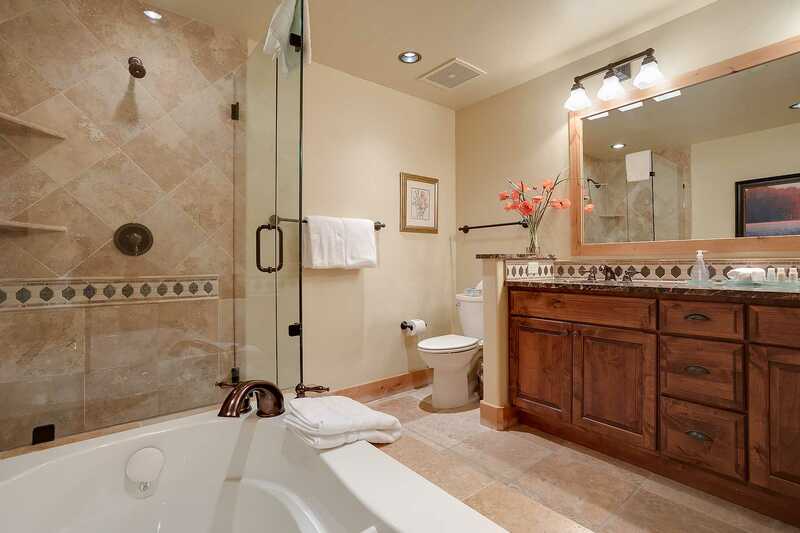 All bathrooms come stocked with luxurious bath products and plush towels as standard and beds are made up with luxury linens and cozy European duvets. 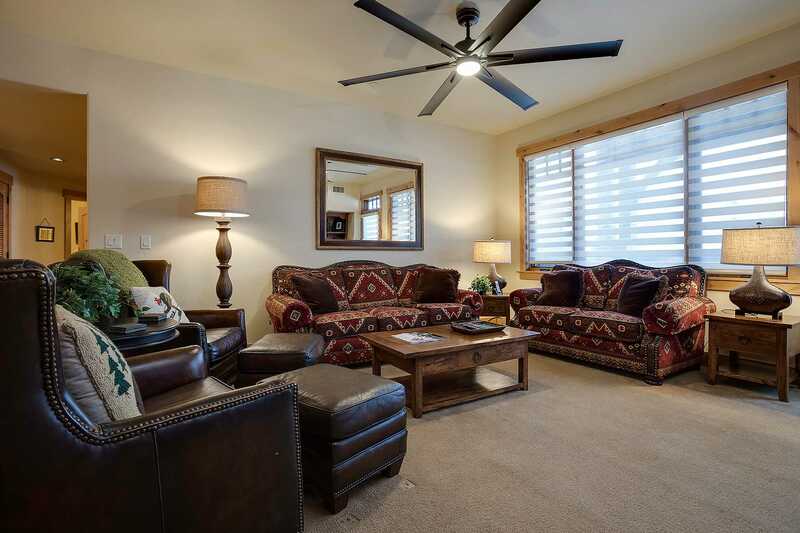 This condo is very spacious and has room for 9 with the queen sized sleeper sofa. 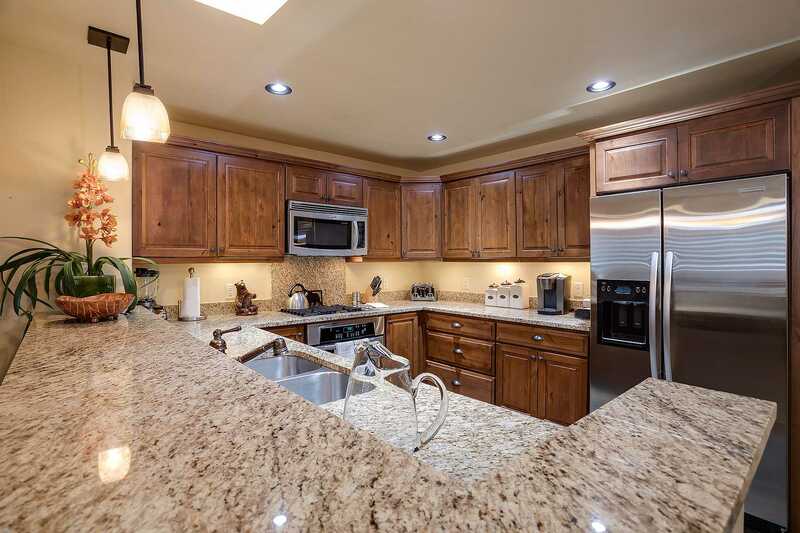 Other amenities include complimentary high-speed wireless internet, flat screen TVs and DVD players in the living area and all bedrooms and a stereo with I-POD dock in the living area. The condo also has a sophisticated central sound system with control panels in every room to allow you to listen to your favorite music anywhere in the condo. 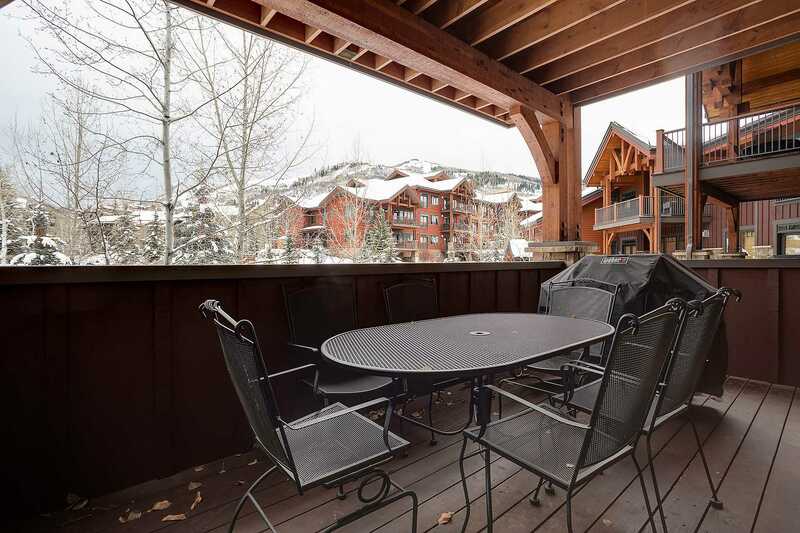 There is an in-unit full size washer and dryer, in-room safe, private ski-lockers, air-conditioning (summer), private heated underground parking and heated outdoor pool and hot tubs. 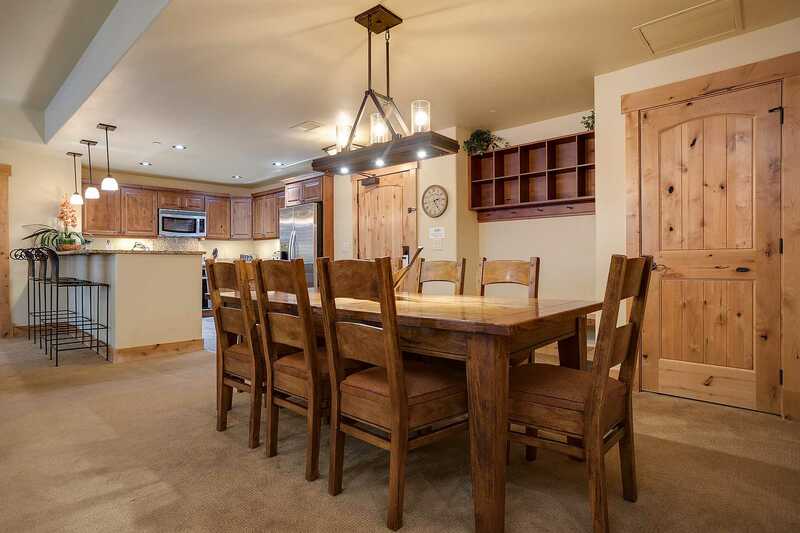 As part of the Trappeur's Crossing Resort, Bear Lodge has use of all of the Trappeur's facilities including Amenity Center with computers and internet access, brand new fitness center, 4 pools, 9 hot tubs, and sauna. With the benefit of a private winter shuttle service and all the amenities you could wish for, we guarantee that you'll have a simply great vacation! 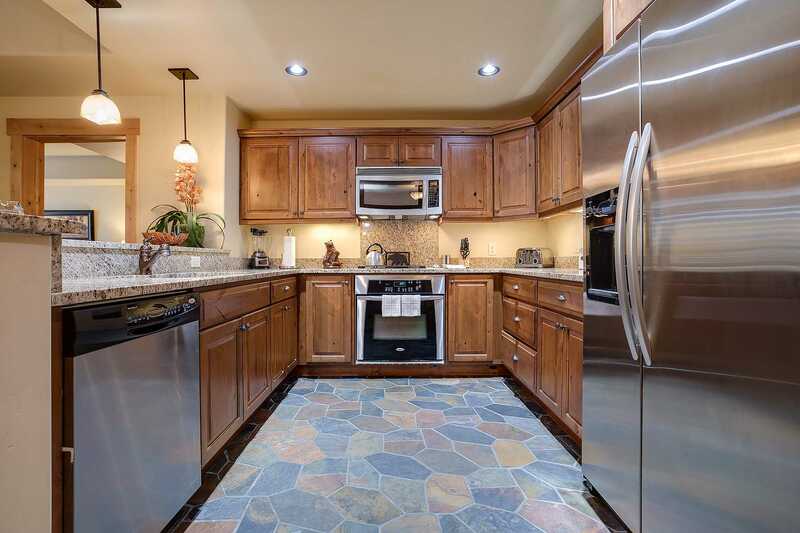 Please contact us to see what other units we have available! 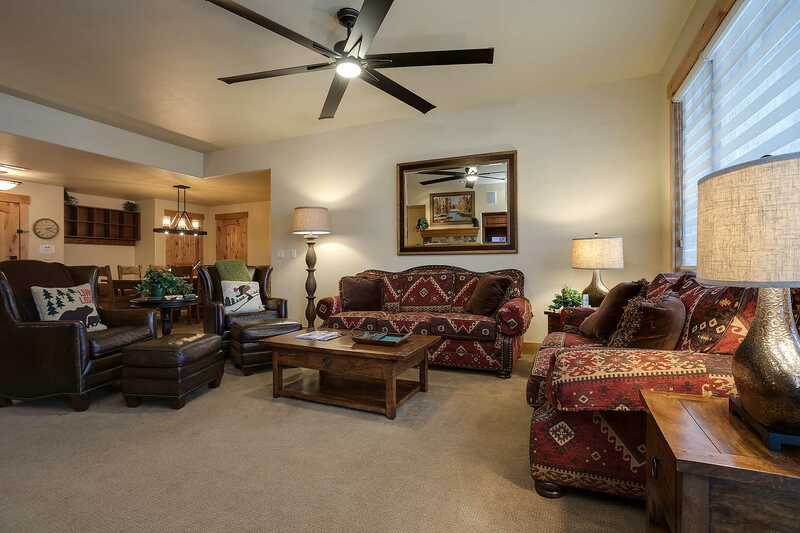 We manage many properties on the mountain and would be happy to help you book the perfect condo for your vacation! 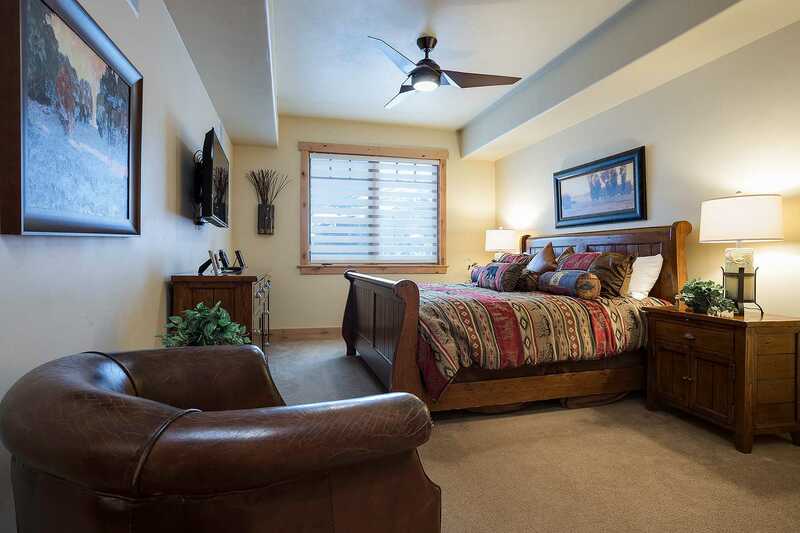 Kick back, relax in style and comfort and enjoy your stay with Simply Steamboat.....helping make your Steamboat vacation simply unforgettable! *The bunk room does not have windows. 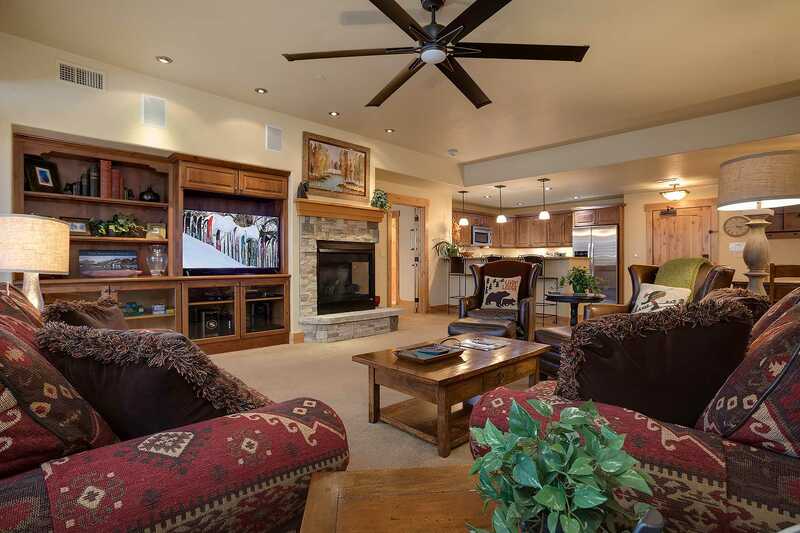 Reside in opulence at Bear Lodge with options for residences with private patios which include: outdoor fireplace, BBQ grill and private hot tub. 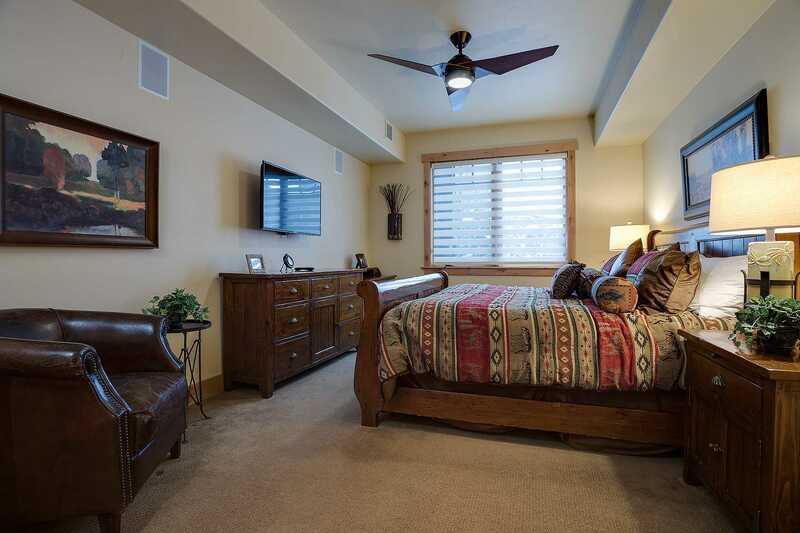 Bear Lodge offers one bedroom, two bedroom plus den, three bedroom, three bedroom plus den, four bedroom and five bedroom residences. The building has central air chilling (with the exception of BL6116 and BL6117) during the summer months and central heating during the winter months. Every condominium is equipped with Wi-Fi, living area and a patio or deck. Most have cozy living room fireplaces. The building has limited indoor heated parking. Bear Lodge is part of the Trappeur's Crossing Resort. 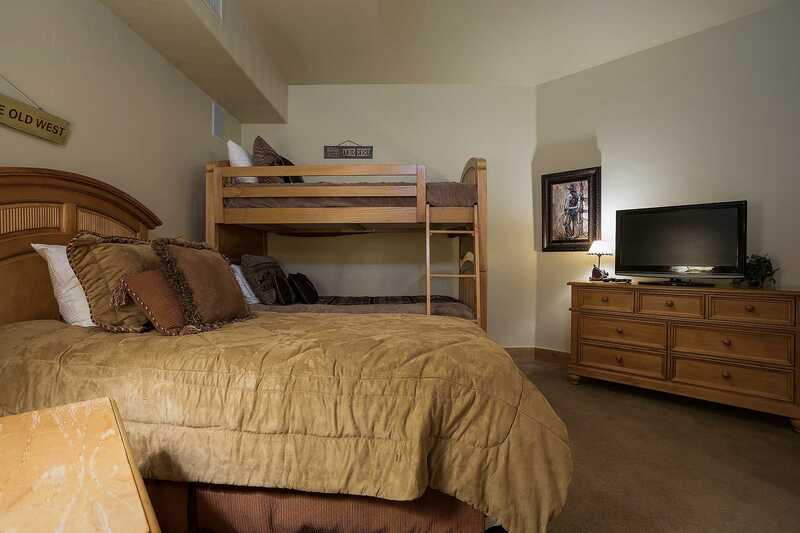 Guests of Bear Lodge enjoy all the amenities and features of Trappeur's Crossing Resort. Click here to learn more. 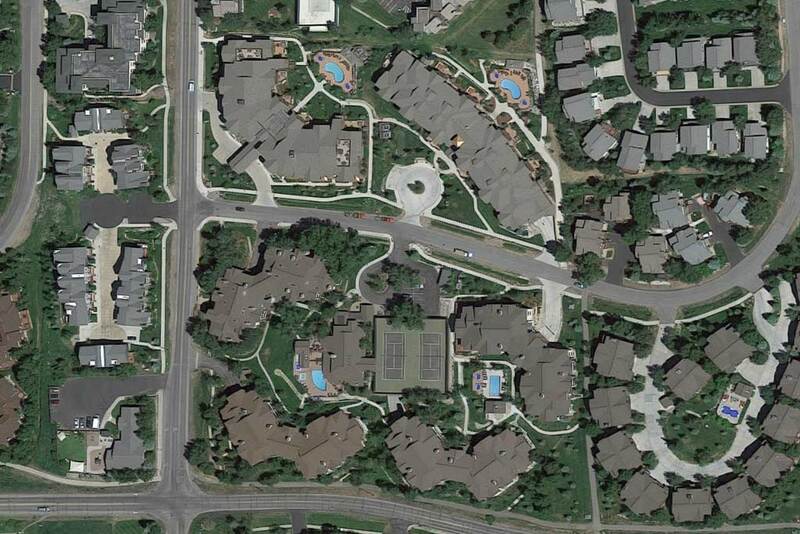 Youth Sports Teams: This property has adopted a policy of not allowing sport teams and/or players to stay at their property. 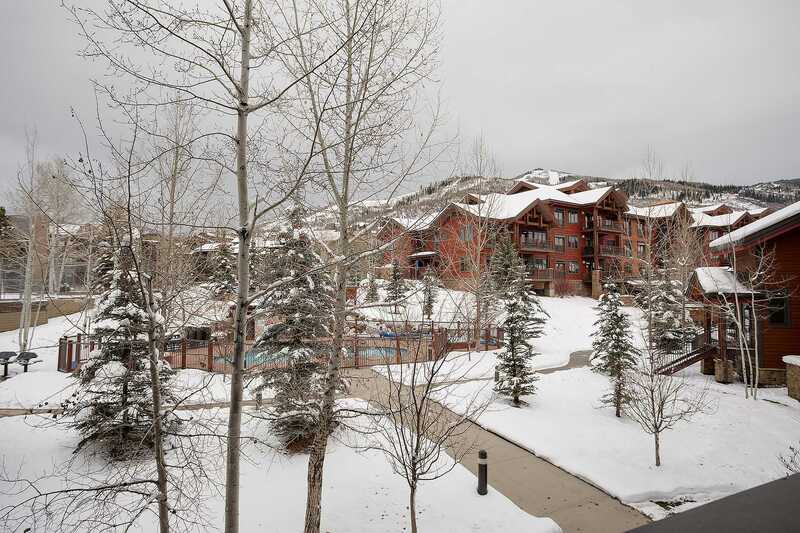 If you are visiting Steamboat for a Triple Crown, Mountain Soccer, or Steamboat Lacrosse event, please choose another property. We apologize for any inconvenience.